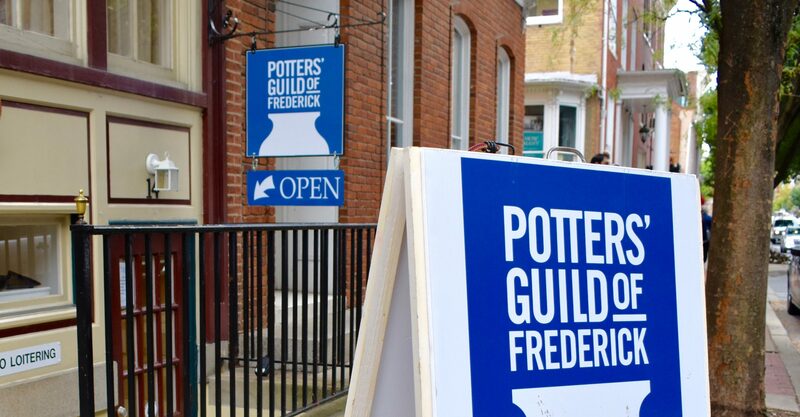 Treasures await you at the Potter’s Guild of Frederick Gallery Shop on South Market Street! Stop in to find that perfect gift or home decor created by our local potters and clay artisans. The offerings might be table, serving or cookware, jewelry, home decor items or planters. For those interested in trying their hand in clay, the guild offers wheel throwing and handbuilding classes and occasional workshops. The guild’s annual Brain Freeze fundraiser and other events support community needs and the Arts in Frederick. Come by the shop and check out our latest ceramic work! We’ll be looking for you!